For anyone requiring a testimonial to Merce Rodereda’s literary powers, there’s this: Gabriel Garcia Marquez learned Catalan specifically so he could read her books in their original language. He also deemed her 1962 novel The Time of the Doves one of the great books of the 20th century. 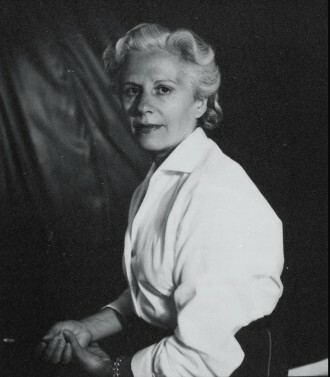 Rodereda fled Spain when Franco banned Catalan from being written or spoken. In exile, she wrote a string of remarkable stories and novels in precise and poetic prose, creating narratives drawn from the surreal mythology of folktales and struggles of everyday life. For a long time, David Rosenthal’s superb translations of Time of the Doves, Camilla Street, and the story collection My Christina were all that were available to English speakers unwilling to follow Garcia Marquez’s example. Open Letter Books has been making more of Rodereda’s work available in handsome editions with fine translations. Her two final novels are now out in paperback and they’re a serious boon for fans. 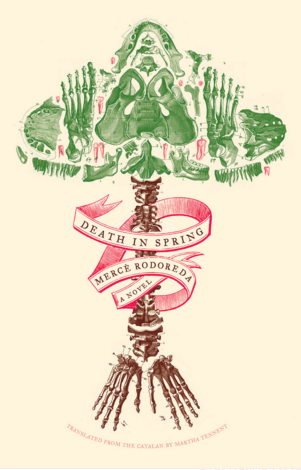 Her last completed novel, Death in Spring, is deeply strange and disturbingly thrilling. It’s set in a remote nameless town that carries out uncanny rituals to mark various ceremonies and seasons. Women are blindfolded whenever there’s a wedding to keep from them seducing the groom. Boys are made to swim the river that flows beneath the town which inevitably leads to their mutilation. The dead are buried inside trees and concrete poured down their throats to keep their souls from escaping. Once a year, the entire town is painted bright red. Over all this, the mysterious senor lives in a hilltop villa but he’s no more in charge than anybody else. The eerie calmness of the townspeople’s behavior initially seems absurd, but it becomes utterly convincing by the story’s transcendently bleak finale. War, So Much War has moments of brilliance, but it’s not as successful. This coming-of-age story involves a young boy who briefly fights in the Spanish Civil War then wanders the ravaged countryside. It’s fascinating how the war’s presence is more felt more than dramatized, though the narrative quickly devolves into a series of self-contained chance encounters. Unfortunately, this repetitive picaresque structure dampens the hallucinatory charge of many of the episodes. There are enough memorable scenes to please fans, but newcomers should stick with Time of the Doves or Death in Spring as their entry point into Rodereda’s unsettling world. 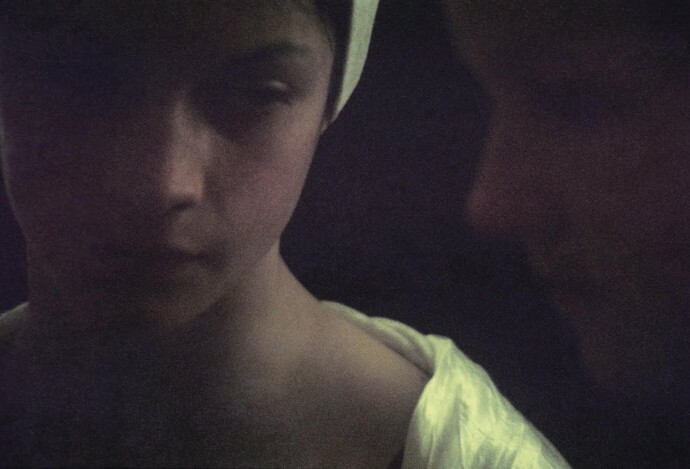 For those who only know Australian photographer Bill Henson by his sexually charged twilight images of teenagers, Particle Mist will be a revelation. 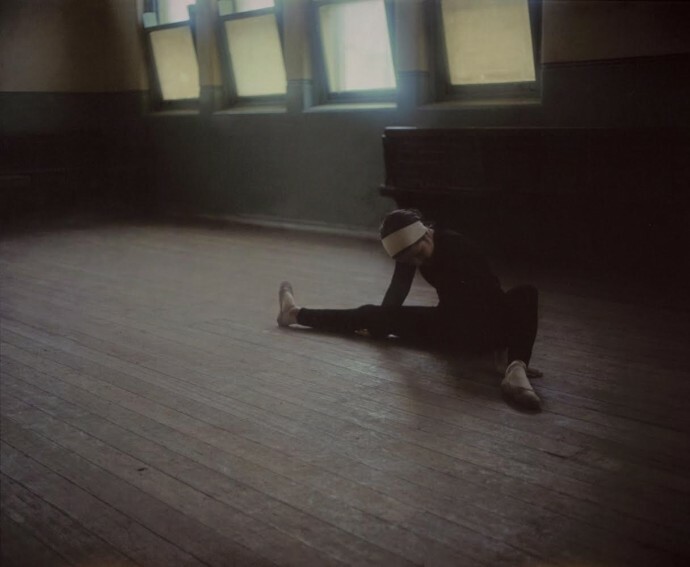 This book, which collects early work from 1974-1976, is divided into three acts: students in uniform waiting at a train station; ballerinas stretching and preparing for class; and girls enveloped in the deep shadows that have defined much of Henson’s later work. 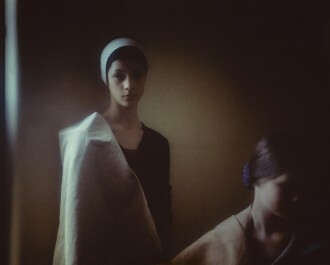 In these photographs, the subjects and their environments are melded with delicate glowing light that’s reminiscent of Rembrandt and other Dutch masters. The elegantly designed Particle Mist captures Henson’s work at a crucial breakthrough, his series of anti-portraits both subverting and luxuriating in their own ravishing beauty. Michael Haneke won the coveted Palm D’Or for The White Ribbon and Amour, but his best work remains a film he made before the accolades started pouring in. For many years, Code Unknown could only be seen in the U.S. via an extremely poor transfer and butchered aspect ratio. Criterion has restored the film’s steely visual sheen for their new Blu-Ray edition, adding illuminating interviews and behind-the-scenes features. They’ve also restored the film’s original subtitle – “Incomplete Tales of Several Journeys” – which sets you up for its multiple, fragmented storylines. 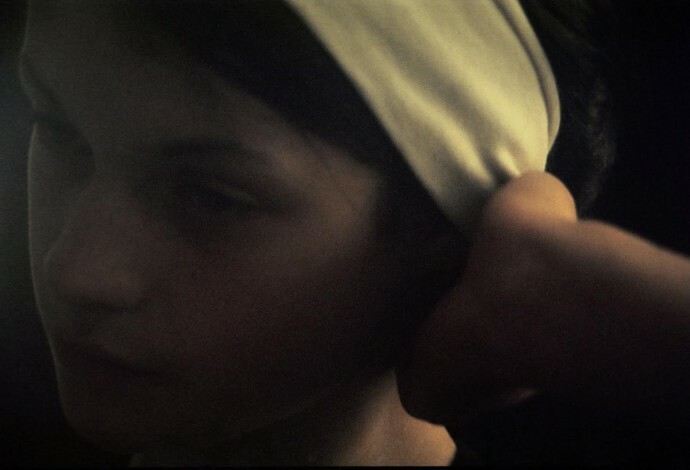 Though originally released in 2000, Code Unknown feels ripped from the headlines with its stories of African and Eastern European immigrants struggling to assimilate into French society. The film starts with a bravura long-take of a busy Parisian street, introducing many of the characters and showing moments of connection between them before following their individual tales. But while the content is consistently compelling, the film’s structure is its most revelatory aspect. We’re only given pieces of each person’s story, isolated moments from their lives that are filmed in a single shot. The audience is forced to piece these incidents together and bridge the gaps between what’s unseen. The film’s form comes to mirror the characters’ struggles to understand each other and places the audience is in the same position as we’re forced to make assumptions about these lives. Haneke delivers thematic closure, but he refuses to tie up a single story. 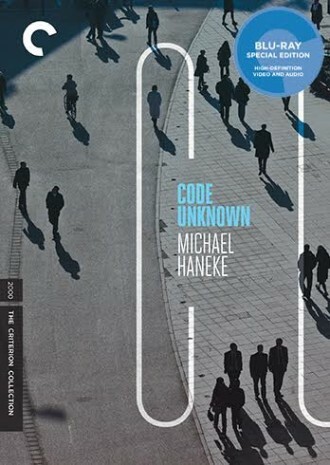 Code Unknown’s radical incompleteness says more than dozens of decisive endings.